Friday morning worship at the Jacksonville Pastors' Conference. Florida Baptists are investing in the ministry of 18 pastors and their wives who are attending the Jacksonville Pastors’ Conference at First Baptist Church Jan. 27-31 as guests of the Convention. 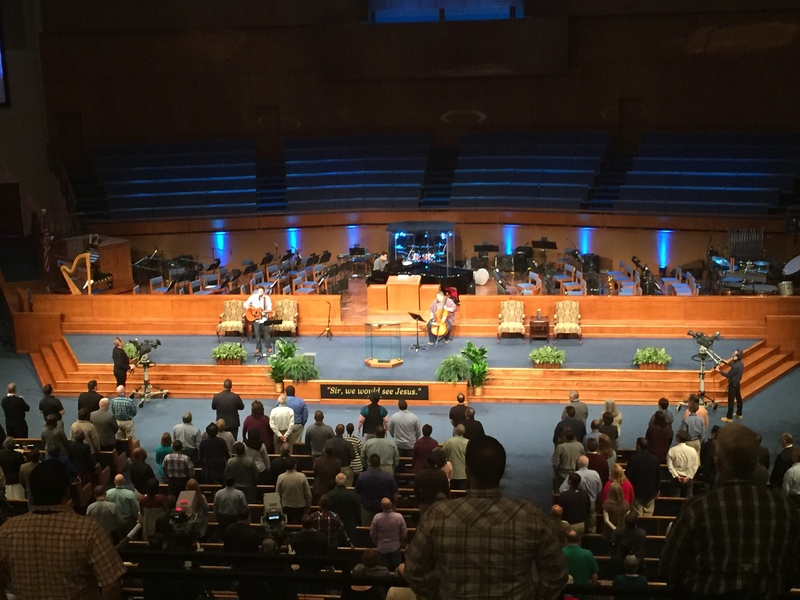 The annual Pastors’ Conference will feature inspiration and worship as sermons are presented by nearly 20 well known preachers from Jerry Vines, Paige Paterson, Mac Brunson and Junior Hill to Robbie Gallaty, H.B. Charles and Jim Cymbala. Dozens of seminars presented will equip the pastors in almost every phase of church life. Funding the pastors’ attendance at the meeting “enables an important investment in the lives of our pastors,” Green said. He hopes to provide a similar experience for other pastors in the future. The Convention paid the couples’ registration fee and hotel accommodations. Meals are provided at the church and hotel. Also included are tickets for the wives to attend a special Pastors’ Wives Luncheon. Jones has served at the North Florida congregation located just outside of the Perry city limits for the past five years. The church averages about 70 in attendance during morning worship service and touches the lives of 50 families. Lakeside Baptist was started as a church plant 62 years ago to reach a growing paper mill population as residents moved in and out of the area during the early years of the church, Jones explained. In the past two years, the children and student ministries have experienced significant growth “through a combined effort to refocus and restructure Wednesday evening activities,” said Jones. After prayer and conversation, the two ministries implemented an Awana approach to reach two age groups. 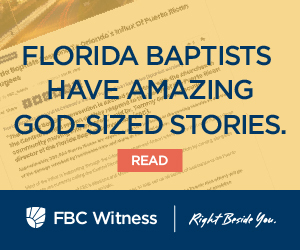 Toney Hill, pastor of Bayshore Baptist Church in Bradenton, has always wanted to attend the Jacksonville Pastors’ Conference, “but I have been unable to swing it. Hill and his wife, Joy, are bringing their six children. A seventh is on the way. The pastor has served the church, located in the southern part of Manatee County, since August. “We are a diverse crowd with a diverse age group,” he explained. “We have seen the Lord bless us almost every week with new members and a multitude of visitors.